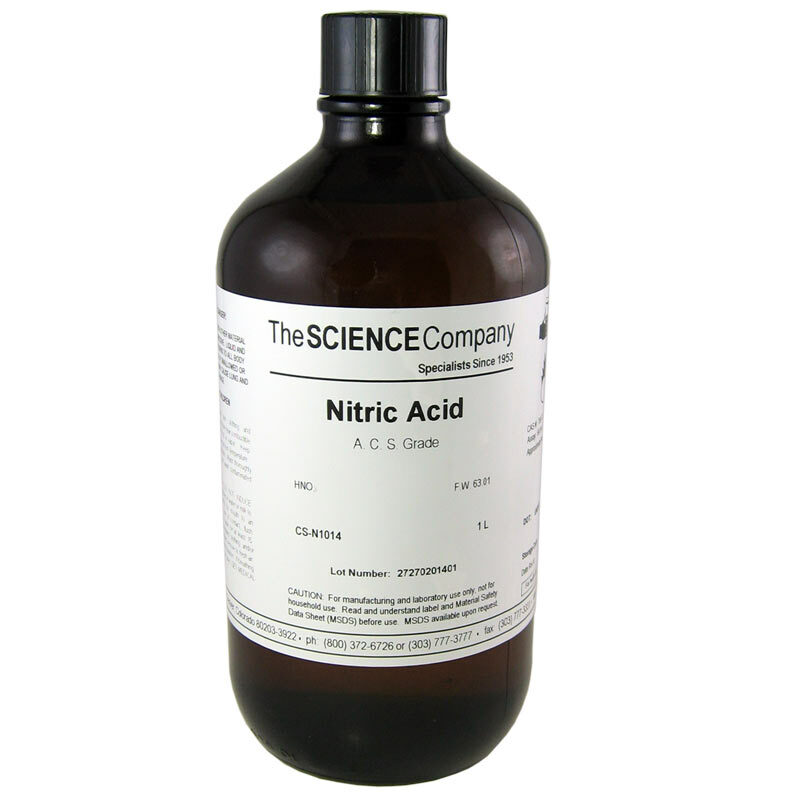 Nitric Acid, Concentrated, 1L for sale. Buy from The Science Company. 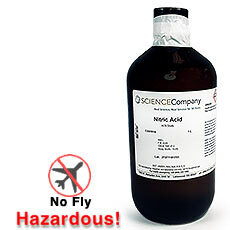 Concentrated nitric acid (69 to 71%) is a transparent, colorless or yellowish fuming, suffocating, hygroscopic, corrosive liquid. Attacks almost all metals. Miscible with water and decomposes in alcohol. Dangerous fire risk in contact with organic materials. Highly toxic by inhalation, corrosive to skin and mucous membranes, strong oxidizer. 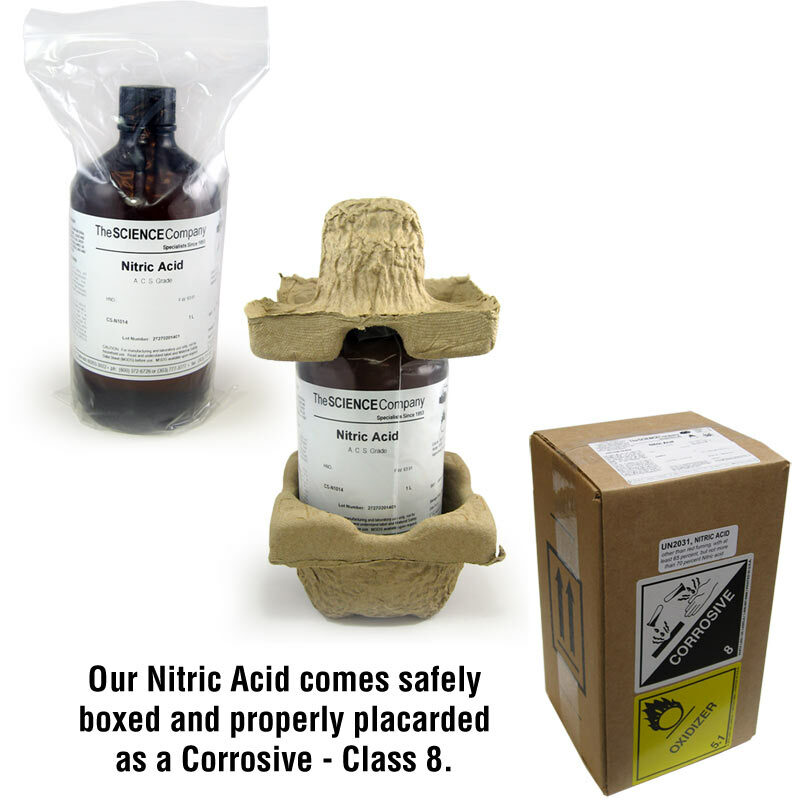 Nitric acid is commonly used to dissolve gold from printed circuits boards by making aqua regia, typically 1 part Nitric acid to 3 parts Hydrochloric acid. 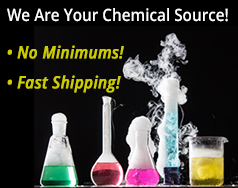 This chemical ships only within the lower 48 US states using Standard Ground. HazMat fee applies. Adult signature required upon delivery. Shipping to a commercial address suggested.